We’ve always heard that tea is good for us. To the point that it is better than coffee. Among the many different teas available, one of the lesser, more obscure variants is Matula tea. And unlike its other cousins which are very readily available in stores, this isn’t as accessible. The one thing about this tea though is the not too many people drink it as a regular drink. Instead, it is often used as a remedy. Matula Tea is an antioxidant rich herbal tea. Unlike most other teas that are commonly used as regular drinking beverage, this one is often served for a purpose. Mauta tea is mainly used to treat many ailments that concern the stomach, intestines and any other components of the gastrointestinal tract. This includes both the upper and lower digestive systems. This kind of tea is often made from ground leaves, flowers, roots and stems of plants. These plants are found in the Cape Mountains of South Africa. Matula tea is usually recommended to be consumed twice per day and comes in a formula which is mixed or brewed in boiling water. 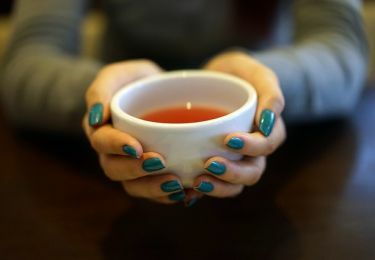 For best results, the tea should be consumed on an empty stomach. Also, it should be used for a period of at least 30 days before any results can be seen. The most common ailment treated with matula tea is helicobacter pylori infection (H. pylori bacteria). This is a specific type of bacteria that lives in our digestive tracts. However, sometimes for years after absorption, it can cause issues like ulcers, sores and in extreme cases stomach cancer. 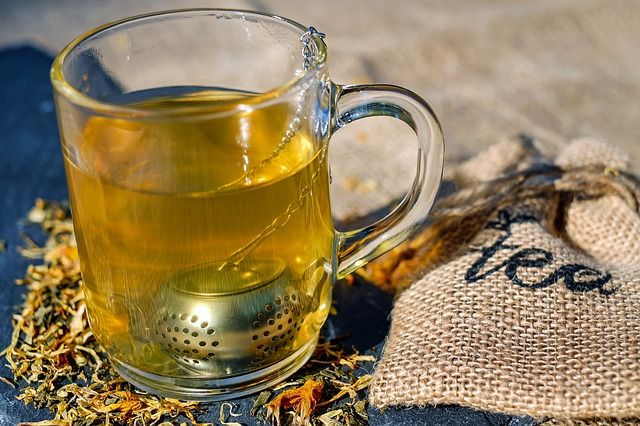 The tea mixture, thanks to its strong antibacterial properties, works to fight bacteria such as helicobacter pylori, as well as other bacterial issues in a person’s gastrointestinal tract. The tea is also used to treat issues that can occur in the stomach lining. These issues include those where damage has been done caused by overproduction of acids and lost stomach mucus. With such damage, the digestive system doesn’t work properly in stopping the digestive acids from flowing back up through the esophagus. As a result, this can cause regular nausea as well as acid reflux related symptoms. Matula Tea can help repair, and ease the discomfort felt throughout your body. At the same time, it aids in repairing these issues. There are even some people who feel that through daily consumption, matula tea helps significantly with reducing symptoms related to acid reflux and yeast infections. Matula tea has been demonstrated to be a cheaper and an all-natural alternative to the treatment of helicobacter pylori infection and other gastrointestinal tract issues. This is especially true when compared to prescription and OTC medication. Some of the commonly prescribed treatments for gastrointestinal disorders include medicines such as the PPI-Based Triple Therapy (Proton Pump Inhibitor), Mastic Gum & Bio-HPF (Helicobacter Pylori Factor supplements) and Gastroment HP. These are all costly when even for a few weeks time. Though matula tea does not act as fast as the PPI-Based Triple Therapy to reduce symptoms and fight off helicobacter pylori infection, it does have a much faster treatment time than the Mastic Gum & Bio-HPF and Gastromend HP treatment regimens. and the leaves and stem of the african wormwood plant (Asteracaeae). Other than its prevalent health benefits, matula tea can be consumed as an enjoyable tea by anyone. Those who drink it on a more regular basis like it because of its enjoyable taste. It isn’t often that you can find a treatment regimen for sickness that is actually enjoyable. Also, there seems to be little to no side effects which are known from regular consumption. Other than those you’d experience with teas in general. Meanwhil, many people enjoy drinking matula tea when they have a slightly upset stomach. This is because they feel that the tea can ease minor stomach issues. This can be done with just one cup for a couple of weeks. 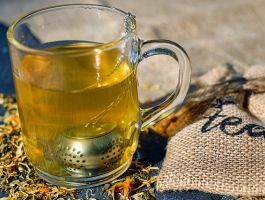 For all its benefits, one of the issues with this specific tea is that it isn’t as readily available in your local grocery store or supermarket. Matula tea is a difficult product to source locally in many parts of the world. And, it is therefore usually purchased online. Do note that you’ll need to scour through the manufacturers a bit to find the legitimate ones and those who sell genuinely good quality products. Also, there are some regions of the world where the plant matter is prohibited due to strict quarantine laws. This is especially true in Australia. As a final note, it is very important to consult your doctor before consuming matula tea as a treatment for any medical issues. This is true for any kind of herbal medication or supplement in general.